As the popularity of IoT devices grow, it’s only natural that security holes in some of the systems will become apparent. IoT Devices May Be Susceptible to Replay Attacks with a Raspberry Pi and RTL-SDR Dongle andAttack Some Wireless Devices With A Raspberry Pi And An RTL-SDR articles tell that an easy way to make a wireless replay attack attack against RF controlled devices is demonstrated on rtl-sdr.com, As RTL-SDR shows us that all you need to record and replay the 433MHz modulation signal is a Raspberry Pi, one of the RTL-SDR dongles (for software-defined radio), and a wire for an antenna (you don’t need to build special hardware like 433.92MHz OOK frame cloner). The video shows how to perform a simple record and replay attack on 433 MHz ISM band devices using nothing more than an RTL-SDR and Raspberry Pi. 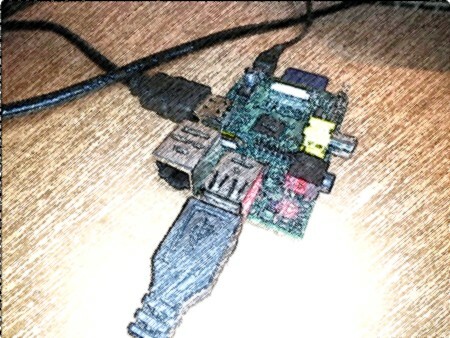 The Raspberry Pi runs RPiTX which allows it to transmit from a GPIO port with just a wire attached. No extra transmitter hardware is required. I am amazed that it can go to this high frequencies and all this can be made with Raspberry Pi with some software magic. In this tutorial, we will be showing you the basics of how to setup a Raspberry Pi Pirate Radio utilizing the FM Transmitter software and a piece of wire. Basically, this piece of software allows you to broadcast a FM signal through your GPIO 4 pin. This means you can setup your own little radio station, however please be noted that the sound quality and range will be quite poor due to the signal been limited to mono and that most wires aren’t the best antennas. Is this Raspberry-Pi-based device the world’s smallest DVB (Digital Video Broadcasting) transmitter? Lime Microsystems is one company that evangelizes an open-source philosophy and provides full details of its wireless chips. As a result, the open-source community has embraced the software defined radio (SDR) boards from Lime and is creating some exciting applications, which greatly extend the functionality of the device through the use of a natively enabled app store. This digital TV transmitter, which is based on a combination of a LimeSDR Mini and a Raspberry Pi Zero, provides a perfect example. This setup processes the camera output into a DVB2 compliant transport stream and onwards to the SDR, while the receiver features a decoder and display chain to drive an HDMI output (it also includes a spectrum analyzer). The demo uses RF tuned to 1.2GHz, which sits within the 10MHz to 3.5GHz range of the Mini. Designers can download the app to provide a DVB (Digital Video Broadcasting) video link and customize it to their exact requirements. The open-source community is busy creating a wide variety of wireless applications using LimeSDR products, and then making these applications available for “app enabled” products. In addition to the video example discussed above, there are already designs for narrow and wideband FM transceivers, a spectrum analyzer using a UDOO X86 single board computer, a GSM base station using a Raspberry Pi and — with the addition of a Lime frequency range extender — the LimeSDR transmits and receives LTE signals at 10GHz. In an effort to address that issue, [Naich] has written up a couple posts on his blog which not only discuss why the Pi is such a poor transmitter, but shows how you can build a filter to help improve the situation. [Naich] then goes on to show how you can build a DIY filter “hat” for the Pi that not only cuts down a lot of the undesirable chatter, but even boosts the intended signal a bit. In this video I re-engineer a 40MHz garage door opener and build a small one for my Harley. I use SDR radio and Audacity to do the hacking and an AD9850 DDS and an Arduino to create a clone. The principle shown here can also be used for openers or key fobs operating on other frequencies.